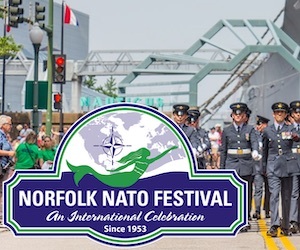 The NATO Training Group (NTG) was originally formed as the EURO/NATO Training Group in 1970 as a forum to share best training practices and to address common training issues, with Germany providing the Chairman and the Secretary. 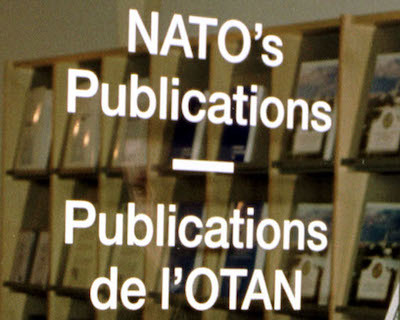 Renamed the NTG in 1993, a permanent staff element was established in 1999 at NATO Headquarters within the International Military Staff (IMS). 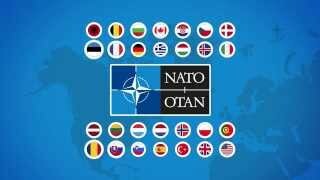 Following the Prague Summit of 2002, the NTG was subordinated to the Allied Command Transformation (ACT). On 23 Jan 2004, oversight of the NTG was formally transferred from the Military Committee (MC) to HQ Supreme Allied Command Transformation (HQ SACT) under the Chairmanship of Deputy Assistant Chief of Staff (DACOS) for Joint Education and Training (JET) Sub Division. 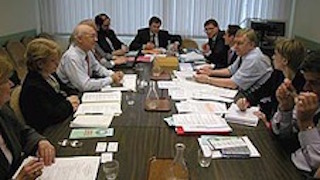 MC 238/4 (Terms of Reference of the NTG), agreed in November 2010, significantly altered the structure of the NTG to a FOGO-level Steering Group, OF4/OF5 - level Executive Working Group, three permanent Service Task Groups and a means to establish temporary/ad hoc Task Groups (via mandate). MC 238/5, agreed on 12 December 2013, refined the participation process for Partner Countries. 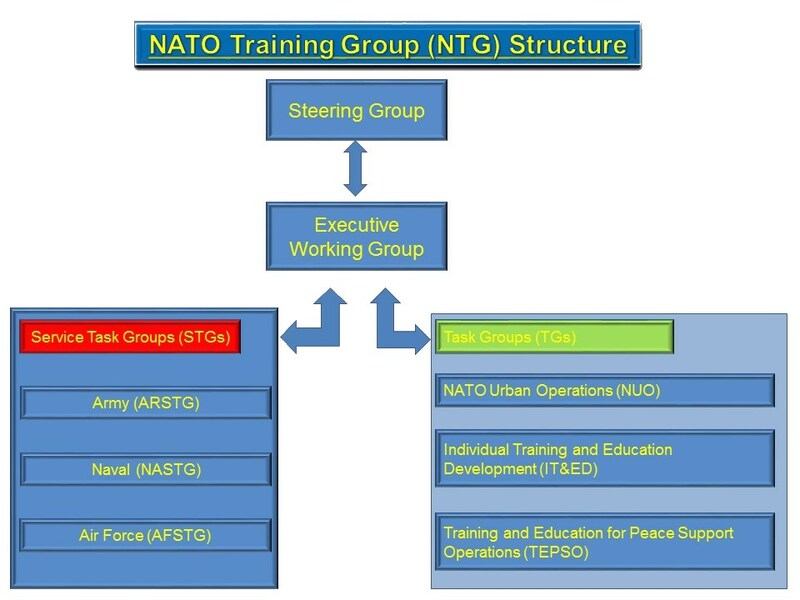 The NTG is one of eight Military Committee Joint Standardization Board (MCJSB) Working Groups, primarily for the development of Standardization Agreements (STANAGs). MCJSB facilitates ratification and promulgation coordination with nations only for STANAGs under the ownership of the NTG. 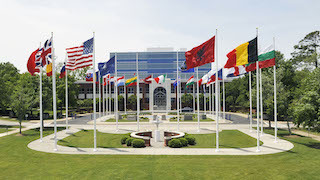 Supreme Headquarters Allied Powers Europe (SHAPE) provides inputs regarding training requirements, either emergent or stated in the most current Supreme Allied Commander Europe (SACEUR) Annual Guidance for Education, Training, Exercise and Evaluation (ETEE), commonly referred to as "SAGE". 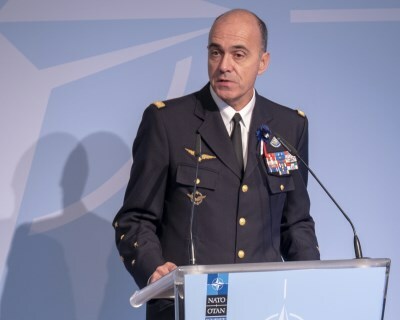 IMS provides relevant inputs from NATO Headquarters regarding the status of ETEE-related work at the politico-military level and updates regarding NTG Terms of Reference change proposals. 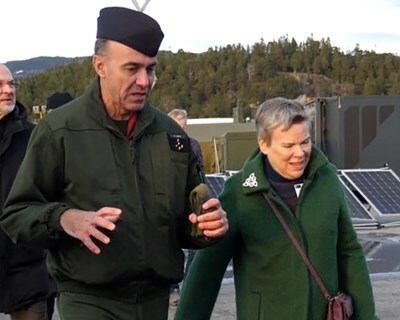 The MCJSB, normally represented by the NATO Standardization Office, provides inputs on the status of relevant Standardization Products and provides guidance regarding their disposition. Military Partnership Directorate (MPD) provides relevant inputs regarding Partner Country cooperation and opportunities for NTG engagement. 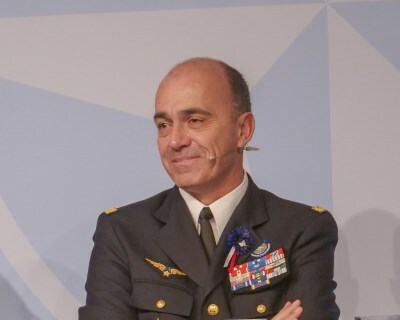 The aim of the NTG is "to enhance professionalism, interoperability and standardization among Alliance and partner forces through improved co-ordination of Education, Training, Exercise and Evaluation, with particular emphasis on supporting operations" (MC 238/5). The NTG Portal is currently available only after registration with ACT. 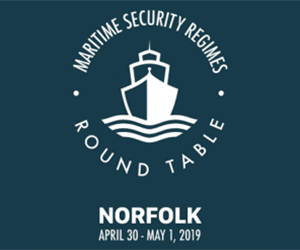 Please visit the Registration Page in order to request access to the Portal. Once a Username and Password combination are obtained, you can log in to the NTG Portal.